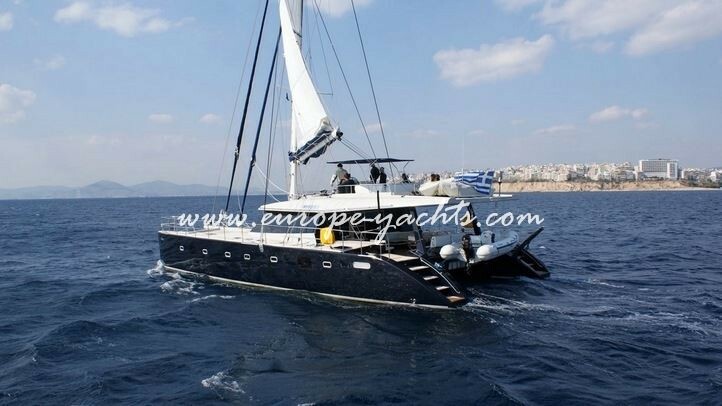 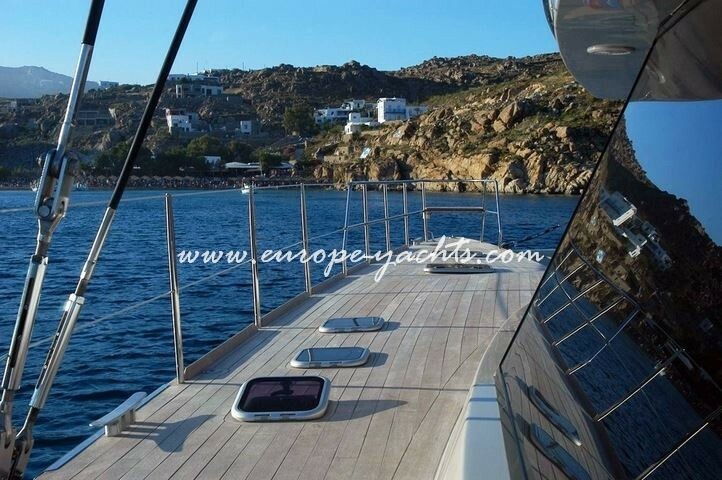 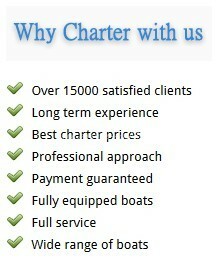 Sunreef 62 ANASSA 62 foot sailing catamaran which is available for charter in the Eastern Mediterranean and Greece. 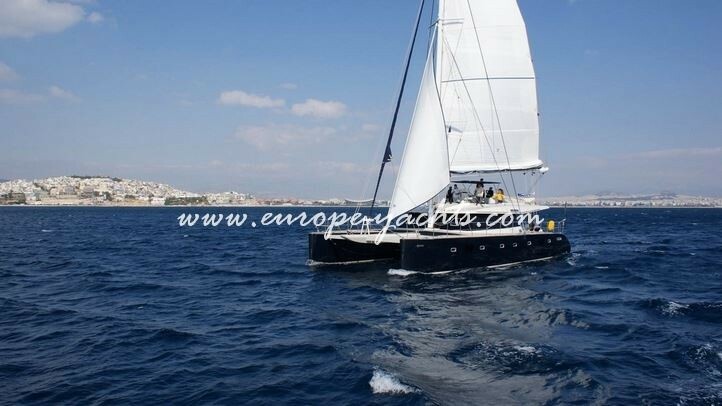 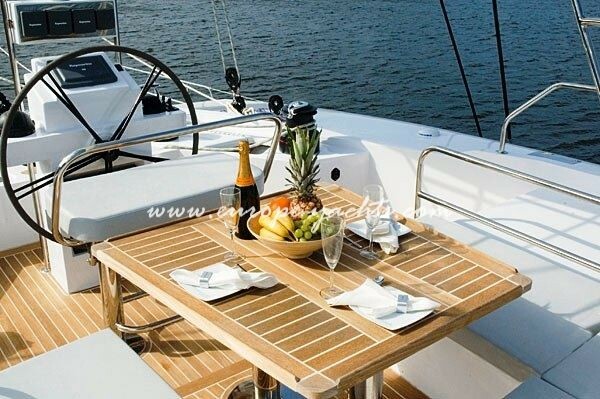 This sailing catamaran is very well equipped and offers a very nice interior style as well as teak decks right up to the bow. 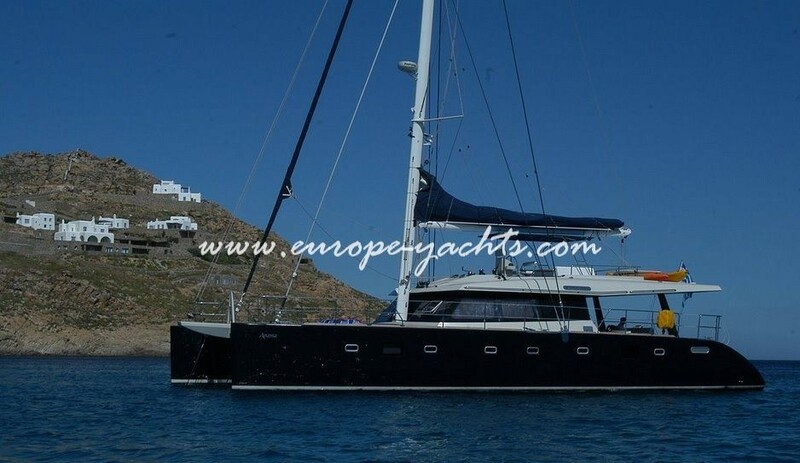 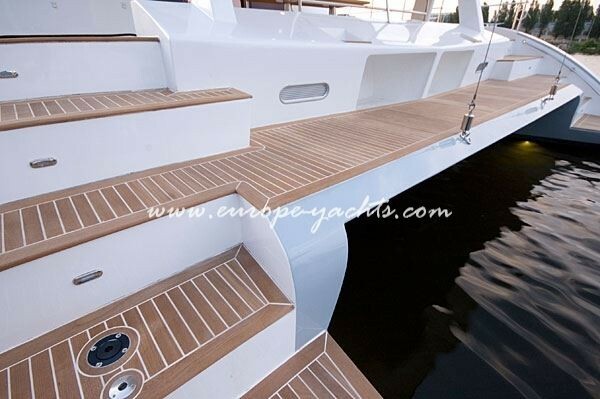 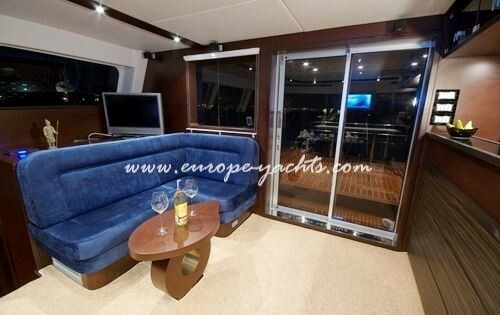 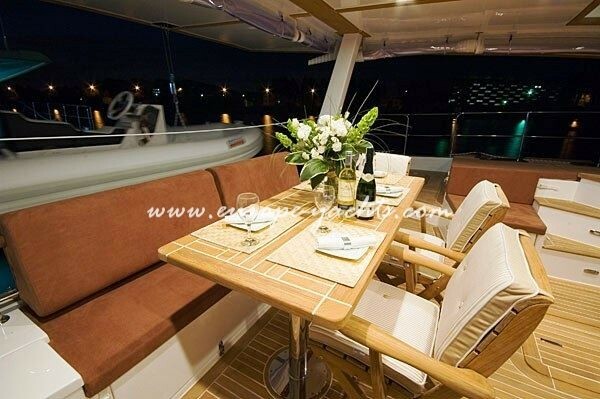 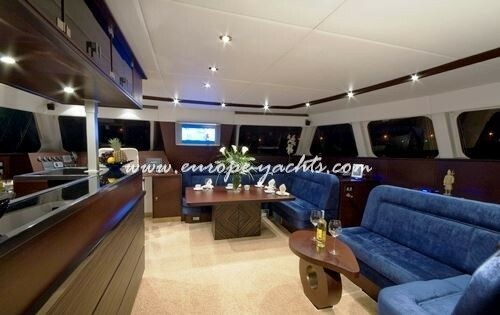 The Sunreef 62 ANASSA is a large catamaran for her length. 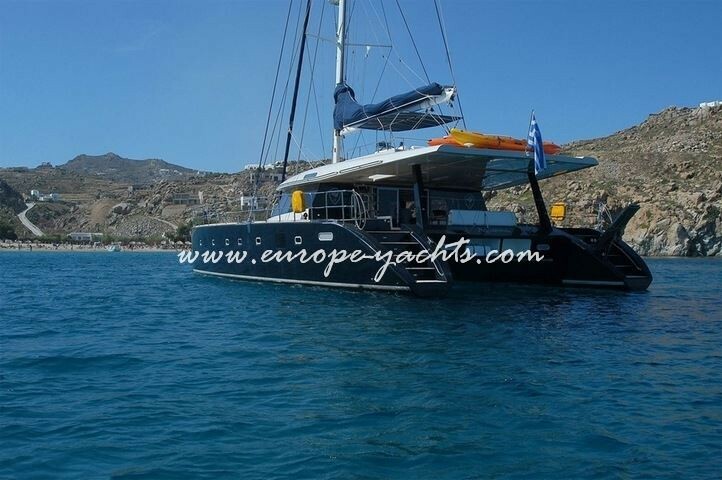 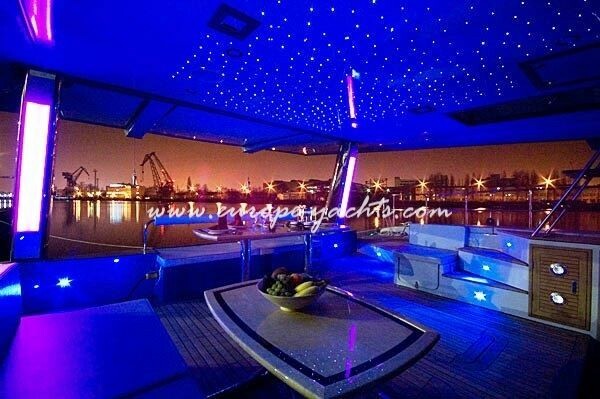 She has a generous 30 ft beam and accordingly a large cockpit area.Sunreef 62 ANASSA accommodates up to 10 guests in 4 cabins. 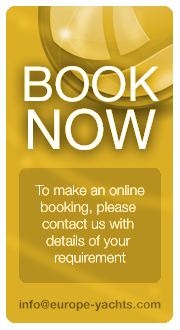 This includes two fold down Pullman bunks so 8 is the recommended number of charter guests. 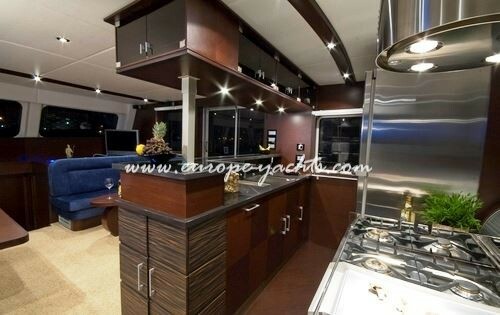 She offers interesting interior touches such a mosaic tiled bathrooms and good use of wood. 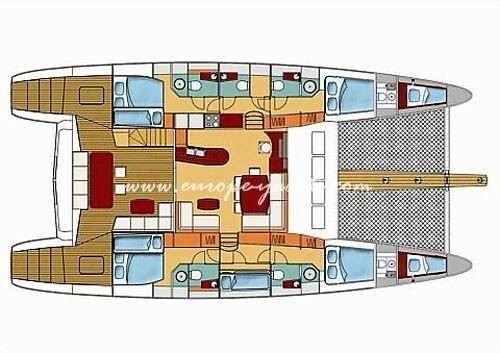 The Sunreef 62 ANASSA – modern design – is a new version of the already well known model Sunreef 62 classic design. 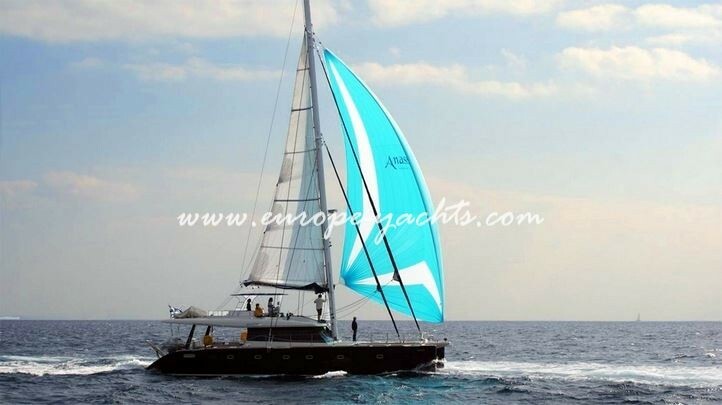 This catamaran is well designed and represents minimalist and untraditional style, characterized by simplification of form, use of basic shapes and primary colors, and by subtle use of decoration.